PARLIAMENT – Ugandans seeking treatment from public health facilities shall have to bear for tougher times after Government admitted that the issue of absenteeism among medical workers is here to stay. The revelation was made by Sarah Opendi, State Minister of Health (General Duties) this afternoon during a plenary sitting where she noted that the Ministry of Health is still grappling with challenges of absentee doctors, as the remuneration given to them isn’t attractive enough for them to work for Government. Opendi told Parliament that whereas the Ministry of Health had agreed to turn all regional referral hospitals into teaching hospitals, implying that interns are supposed to be posted there and trained by the senior consultants, this hasn’t been the case as the specialists have continued to shy away from public health facilities. “We have had a challenge, the Health Service Commission has advertised for consultants and senior consultants but the pay is still low and not attractive to work for us in Government,” Opendi said. The Minister was reacting to a matter raised by Joy Atim Lira Woman MP who tasked the Minister of Health to explain there are no specialists in the hospital, saying this has rendered interns idle as these have to be supervised by the consultants, but the specialists are no longer in Lira Hospital. Atim warned that the dire situation at the hospital is likely to worsen with the current Director set to retire in a few months time. In her response, Minister Opendi revealed that the specialists that take up these positions work once or twice a week, and said this can only be solved by revising the remuneration of consultants. 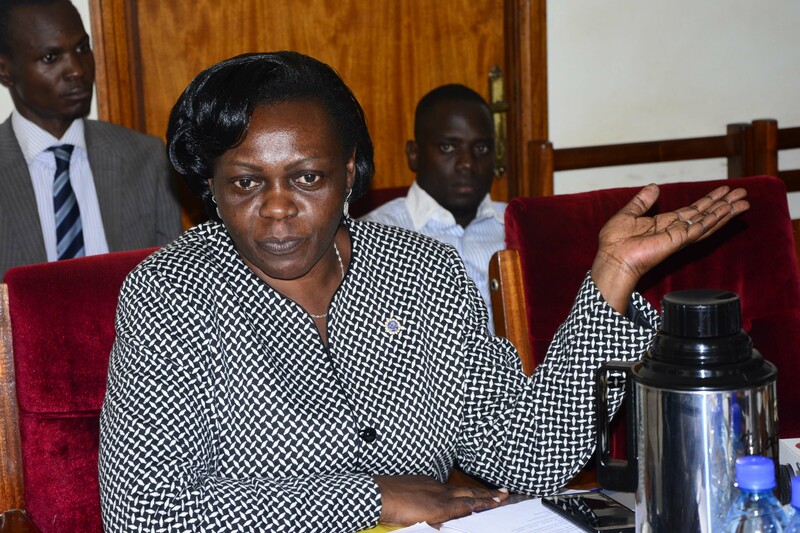 Opendi added that although Ugandans are losing lives due to the absence of doctors, there is no reason why a senior consultant who earns Shs3M in Uganda can fail to take up a job in Kenya and Rwanda where he/she would be paid Shs10M in Kenya, Rwanda. “I mean what attracts him? The issue of absenteeism is because they work for Government 2-3days and they move. Slowly we hope, we shall be able to address this but it remains a big challenge, if a senior consultant, what attracts him and now that we are going into next budgeting cycle, I think we need to look at this further,” the Minister said. The development comes at the time when the report on the Ministerial Policy statement by for the Ministry of Health 2018/2019 highlighted the plight of inadequate health personnel putting the national average at 73% as at June 2017. The report highlighted that biggest problem in staffing gap lies in Health Center II whose level stands at 53% and at general hospital level with an average of 68% and the same challenge is faced at Uganda Cancer and Heart Institutes whose human resource gaps stand at 54% and 620/o respectively. At the time of considering the budget, the Health Committee of Parliament was informed that whereas the current staffing norms require a total of 392 personnel (senior consults and Senior Medical Officers Special Grade); only about 23% are currently recruited. At the time, the Committee warned that failure by Government to prioritise the recruitment of critical staff will hinder health service delivery across all health levels and affect the Ministry’s attainment of the health sector planned outcome targets.